BNH Turns Its Focus on the Readers – This issue unveils information about our readers from their politics to driving habits to whether they know of someone having an affair in the office! In this 30th anniversary issue, we unveil the magazine's proudest and most dubious moments. Where Are They Now? – The magazine checks in with business leaders and the "25 For The Future." 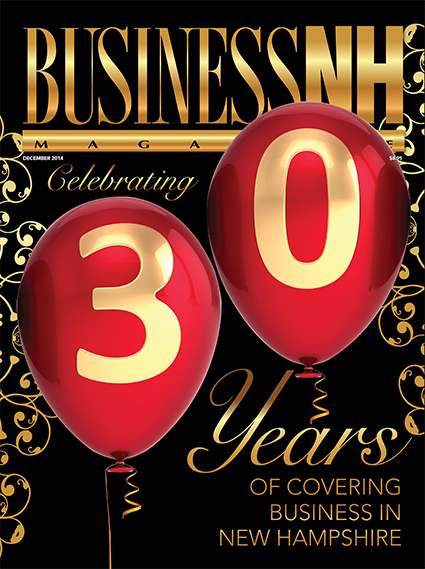 NH's Most Powerful – A reflection on the state's movers and shakers over the past 30 years. Looking Ahead – Thought leaders write about NH's glory days, the opportunities and obstacles we face for the next 30 years, future demographic projections, transforming higher learning, blending natural resources and economic development and more!